All eyes will be on this men's wedding band from Lashbrook Designs! 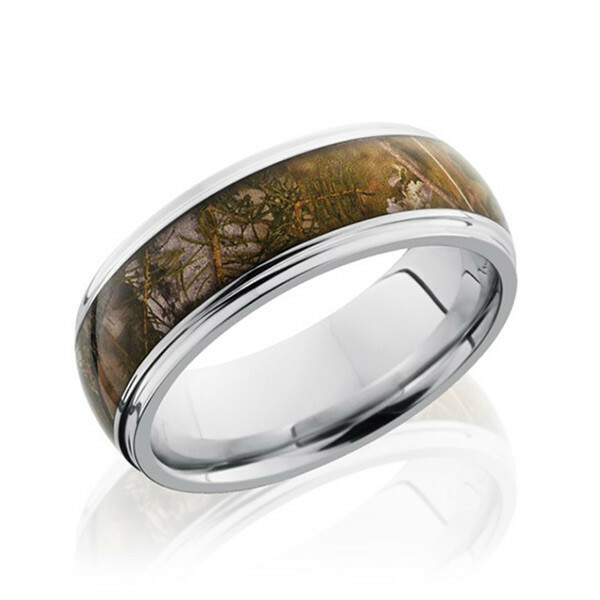 Crafted in cobalt chrome, the 8mm domed piece of jewelry features a 5mm inlay of King's Mountain Shadow camouflage. The polished piece has grooved edges. This Lashbrook gent's ring will get you in the groove for married life!